When Jess sets sail on a yacht with a group of friends, she cannot shake the feeling that there is something wrong. Her suspicions are realized when the yacht hits a storm and the group is forced to board a passing ocean liner to get to safety, a ship Jess is convinced she’s been on before. 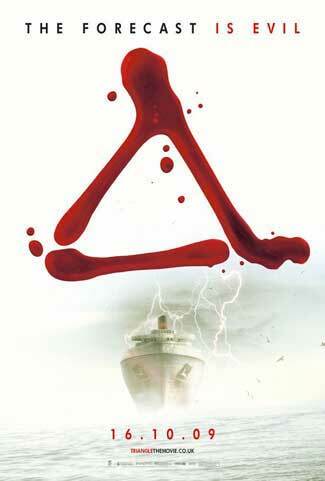 The ship appears deserted, the clock on board has stopped, but they are not alone… Someone is intent on hunting them down, one by one. And Jess unknowingly holds the key to end the terror. Have you ever had deja vu? What if you took that to the ultimate extreme in a cycle that never ends? 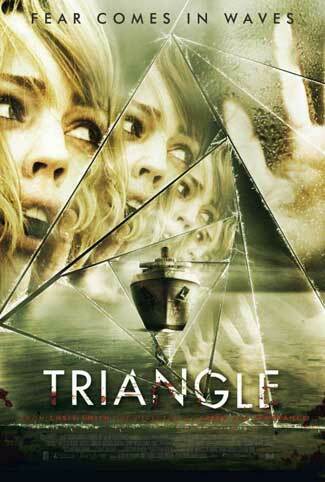 Triangle the movie is named after the sailboat that a group of friends have gathered for an outing on the lake. Jess who shows up for the ride with something obviously troubling her joins her friends Victor (Liam Hemsworth), Heather (Emma Lung), Sally (Rachael Carpani), Greg (Michael Dorman)and Downey (Henry Nixon) for what seems to be an innocent afternoon sea trek. Things start to take a turn for the bizarre when a freak storm appears out of nowhere capsizing the boat and leaving them stranded out at sea. The storm disappears as quickly as it arrives leaving no time for preparation. As they hang on to the overturned sailboat they notice an ocean liner approaching them that seemingly rescues them from there distress and isolation. It seems strange that when they have boarded there is no one there to greet them. They do manage to catch a small glimpse of “someone” aboard. Further investigation reveals no captain, crew, on a rather oddly deserted ship. 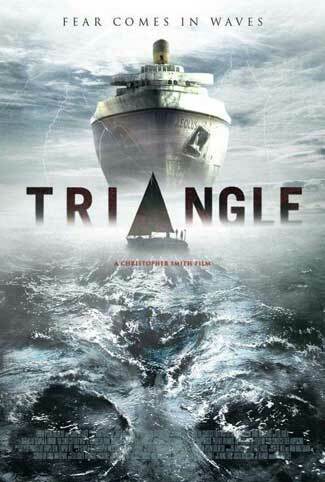 At this point, I was expecting maybe a ghost ship kind of story but the premise goes in the direction of truly bizarre. Jess, the focal of the story begins to have deja vu moments and starts to recognized parts of the ship. As they search for who may be the sole occupant, they run into a twilight zone type scenario. So much maybe, that alot doesn’t make sense for quite some time. I wasn’t sure how to review this movie without really giving the story away. 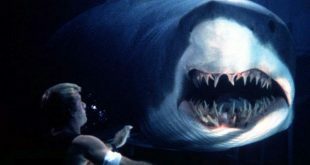 While the film does stay true to a horror film setting, its not so clear cut in ways that will keep you wondering up to the last frame. It does resolve itself if you can call it that but in way that is based on cycles and repetition. Christopher Smith director and writer of this harrowing mind mess of a notion deserves special mention for writing such a complex and complete setup that covers all its bases. Not an easy task when reflecting on what you just watched. There were times when I thought holes would be apparent or an easy solution would work its way out but that never came. The script succeeds on details and organization. Straight horror would not fit nicely is its description but it does provide a mental horror that viewers can relate to on a subconscious level. I think as a whole the film will appeal to a selection of viewers but not all. Why? simply because some folks don’t like loose plotlines that swirl around for most of the movie. I was glad to see that multiple perspectives were addressed, though the ride seems bumpy until it all works itself out. It’s funny, because I have seen many films that do these “type” of things and usually end on a cheesy, dream, dying or nightmare note though “Triangle” stays in for the count and avoids those cliques. I think somewhere there is a statement about the nature of things or fate, but I’m not sure exactly how it would go in this case. Maybe parallel universes crossed or maybe history repeats itself until it works out the solution. I think a few of these questions fit into this film. Mellisa George, a stunning actress in her own right makes delivers a stand up performance even with the complexity of time displaced roles that she has to assume through out the film. While she has been quite busy in a number of roles, fans might recognize her from the “Amityville Horror” remake. 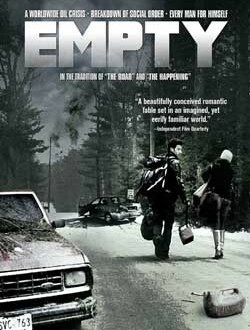 In closing, I’m not sure I could watch this film again but that doesn’t take away from the fact that it’s a psychological gem that deserves watching. After you’ve finished you’ll know why I made that statement. Pretty slick and somewhat of a mental strain wrapped up in a mystery.